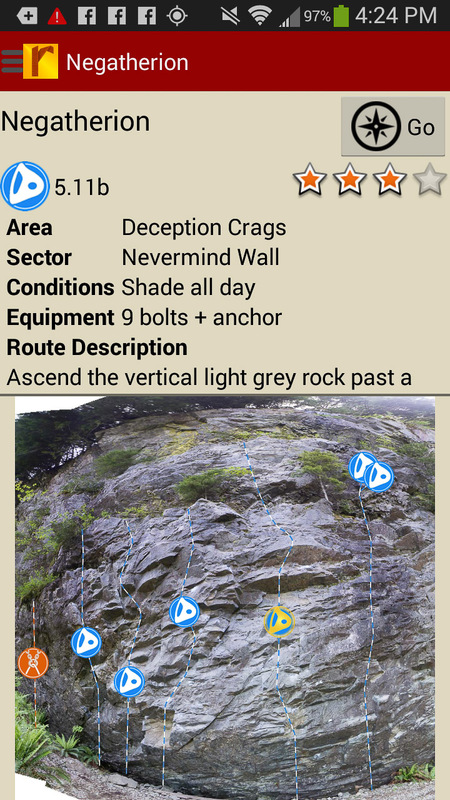 The crags of North Bend, WA offer a beautiful getaway for Seattle-area climbers with convenient climbing from Spring through Fall. 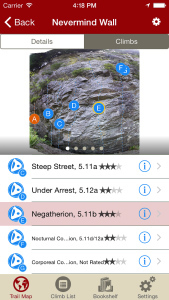 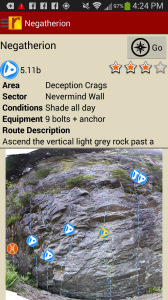 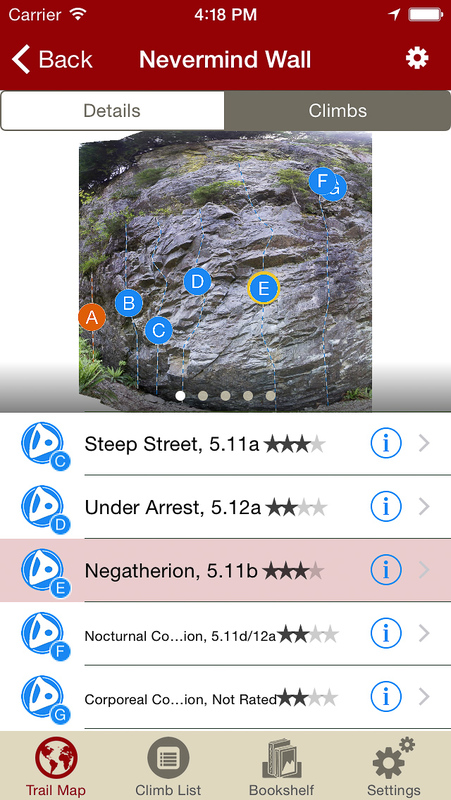 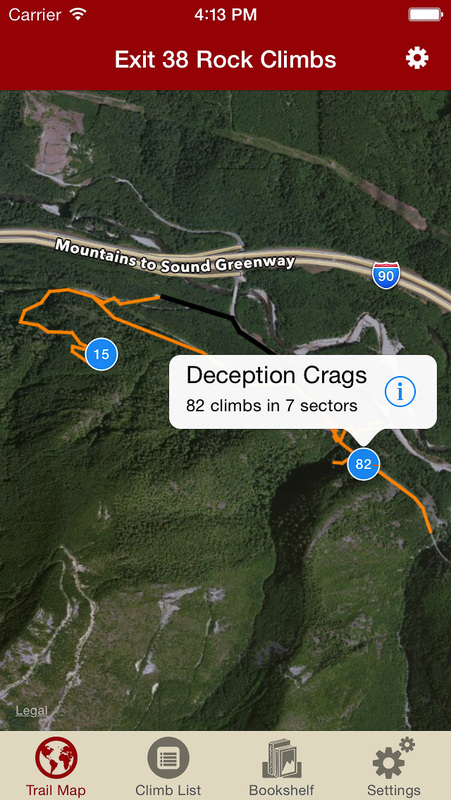 This detailed digital guidebook features accurate beta, car to crag navigation and detailed smart topo photos for all the best climbs at the south side Deception and Mt. Washington crags, as well as, the north side Far Side crags. 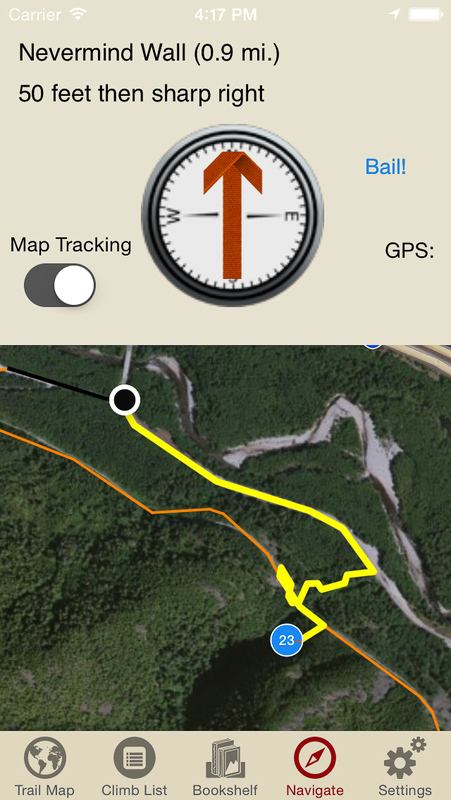 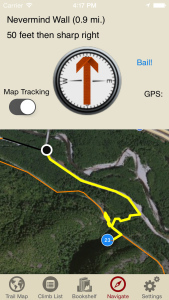 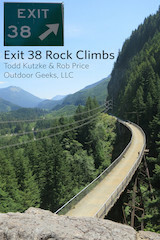 Explore Exit 38 rock climbing via our interactive trail map. 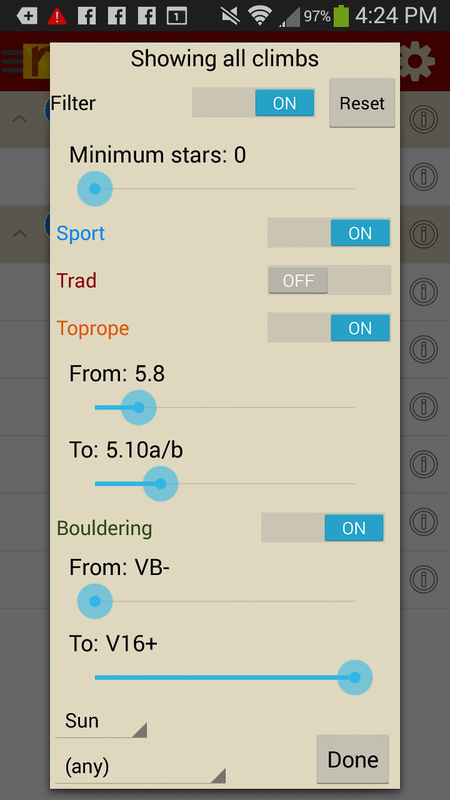 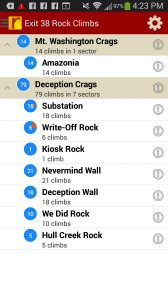 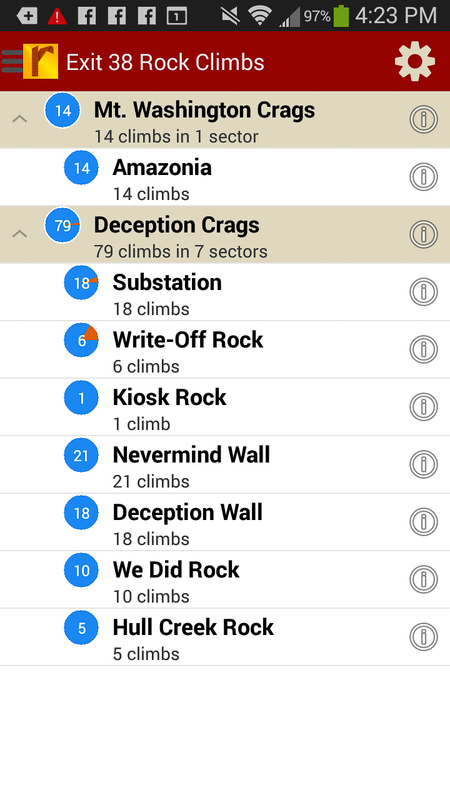 Exit 38 rock climbs in a searchable list.